While most of the crypto world has been struggling to find any good news, EOS has been quietly creeping higher over the last couple of months. 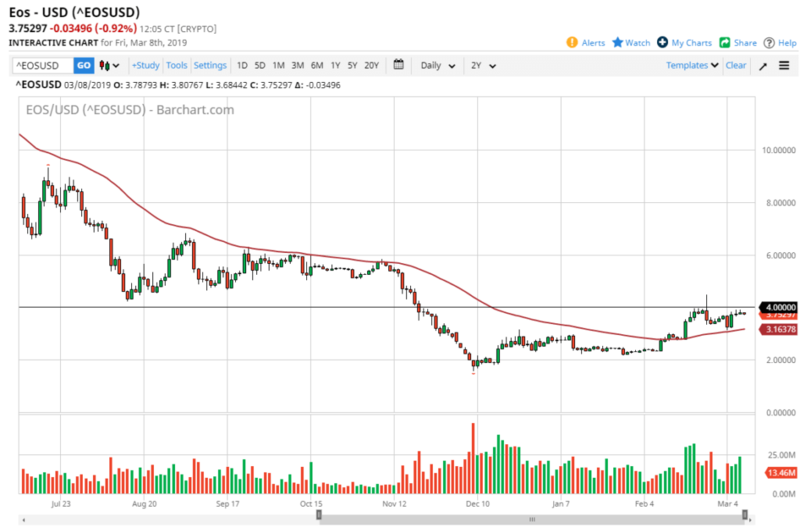 Bitcoin may have gone back and forth, failed at several different attempts to break out, but EOS has quietly approached the $4.00 level, an area that has previously been important. Beyond that, EOS has also found the 50 day EMA to suddenly show itself as being support. This is especially interesting considering how reliable it was as resistance. By looking at this chart, it’s easy to see just how important the $4.00 level is going to be, so this is a crypto currency that you should probably be watching right now. After the jobs report on Friday, we have seen real mixed signals when it comes to the greenback. 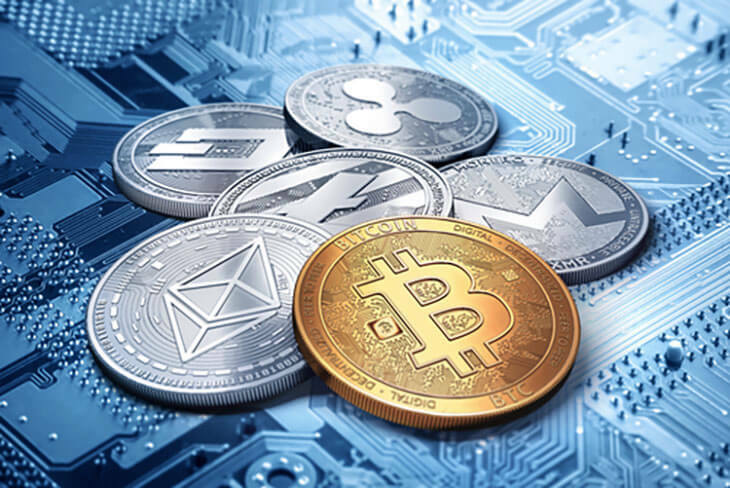 Remember, you are trading this digital coin against the value of the greenback, so although most crypto currency traders don’t like to admit it, they do need to pay attention to the value of fiat currencies, especially the greenback. If we can get a bit more weakness on the US dollar after the jobs report to continue, that could be reason enough for EOS to start picking up a bit. Keep in mind that there was a recent spike in EOS, reaching towards the $4.20 level, before we pull back to form a big massive shooting star. That look like it was going to be the beginning of a major roll over but the market found plenty of support at the previously mentioned 50 day EMA and has now rallied quite a bit. Unfortunately, the last couple of candlesticks have been less than encouraging, but we haven’t exactly sold off either. This type of resiliency quite often can lead to bigger moves if we only get some type of catalyst, or a large order to come in and blow out some of the resistance. If we were to break above that spike, then the market could rally all the way to the $6.00 level, although that may take a while to happen. Nonetheless, that is the technical signal that is forming based upon what I see on this chart currently. Obviously, there’s always two scenarios that you could be looking at when it comes to a trade, so we might as well look at the negativity of what could happen. The $4.00 level could very well hold as resistance, and if it does you will probably see this market make a move towards the 50 day EMA. If we can break down below that moving average, which is currently sitting at $3.16, then the market probably goes much further to the downside, possibly even as low as $2.00 based upon historical pricing. The nice thing of course is that you will have plenty of warning before that happens. In the end, the easiest way to look at this is whether the price of EOS is above or below the 50 day EMA. If were below it, then we start to sell. Regardless, this is a cryptocurrency that should be on your radar.